From the “Goddess” jewelry collection: Glamorous drop earrings featuring nice BIG – about 10 carats apiece – natural blue oval (ish) rose cut sapphires, gorgeous free form rose cut peridot and a pair of glittering “champagne” diamond briolettes. 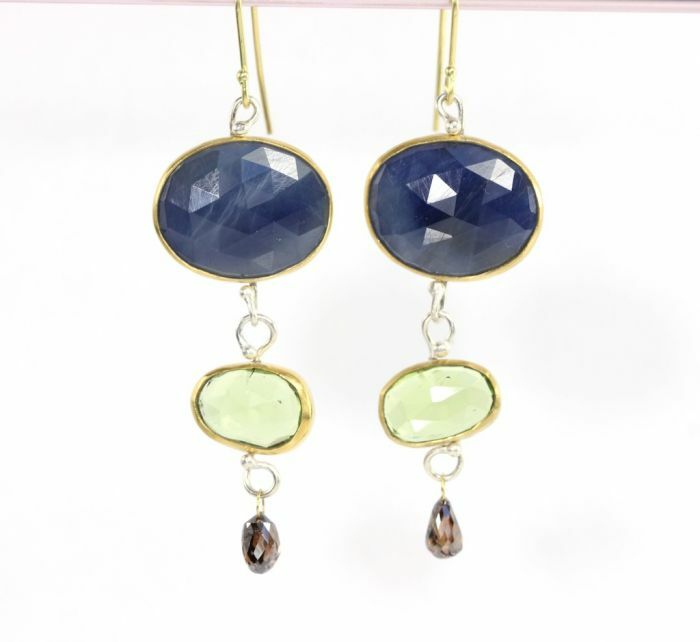 The sapphire and peridot stones are hand set in 22K gold with sterling silver, cut out backs, all in a brush finish, with sterling silver and 18K gold wirework. 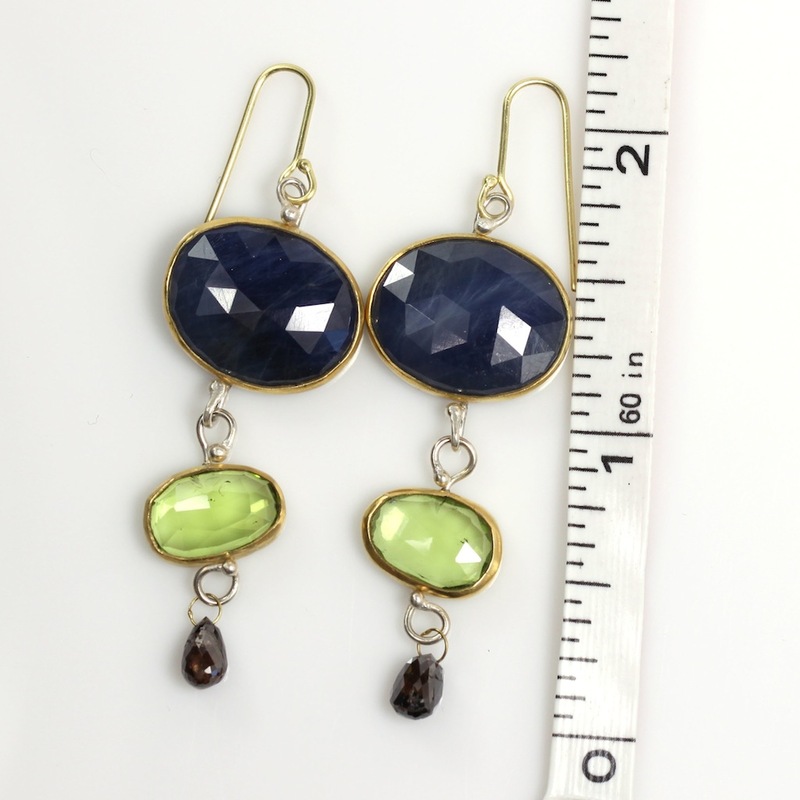 Handmade 18K solid gold earwires. 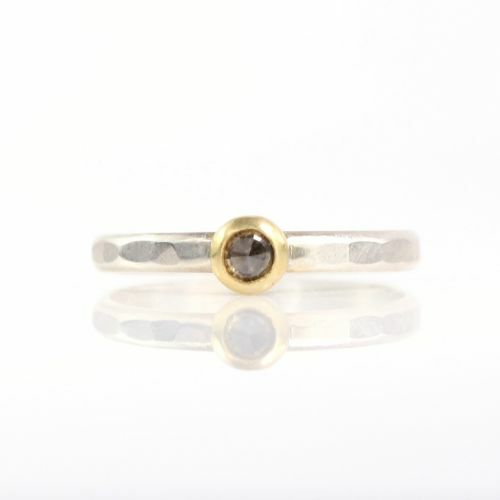 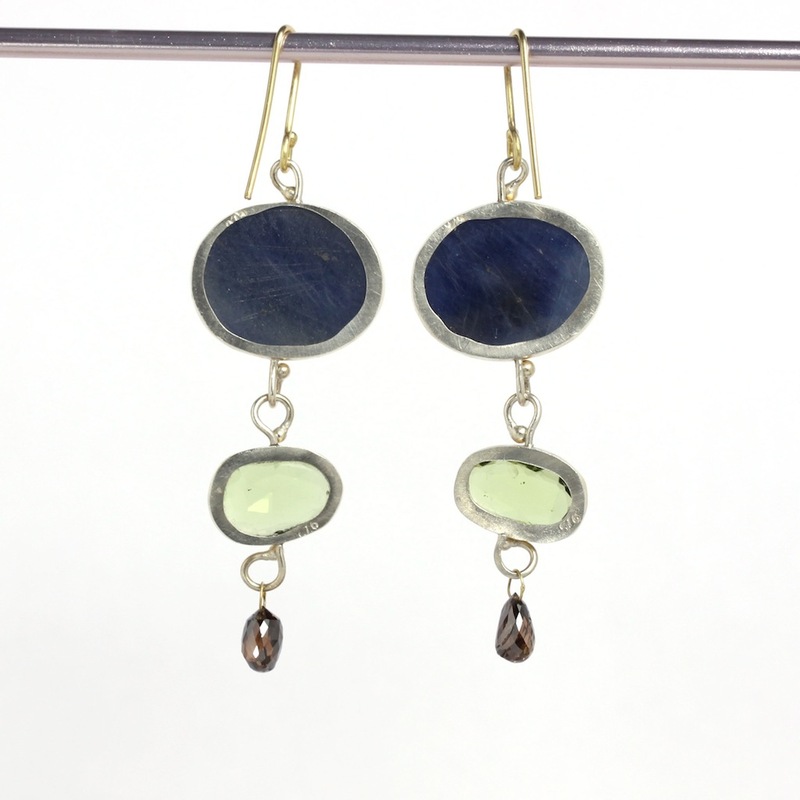 The Metaphysical Particulars: Blue sapphires represent truth and faithfulness, peridot brings protection and diamonds symbolize love, power and strength (in addition to being a girl’s best friend!). 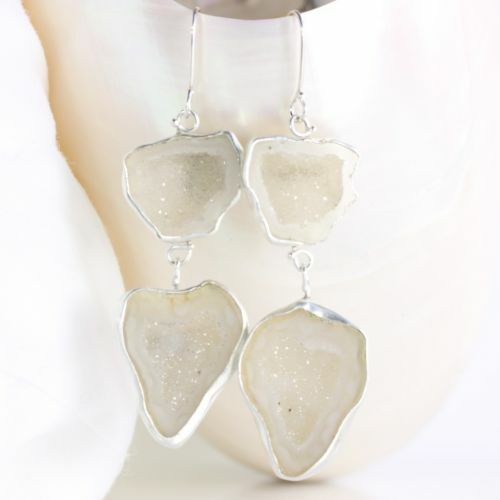 Jewelry to empower your sprit! 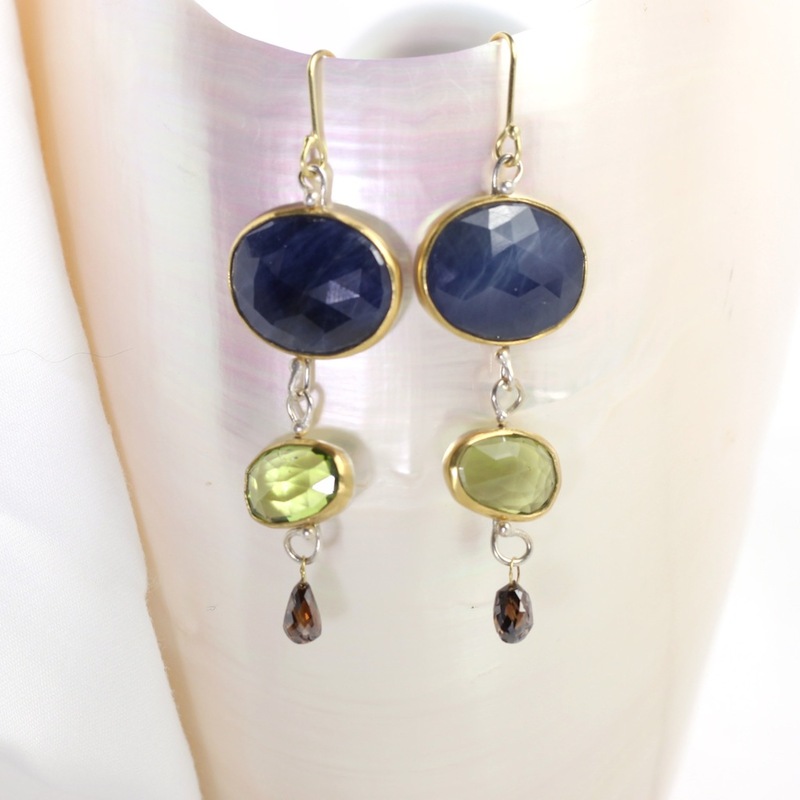 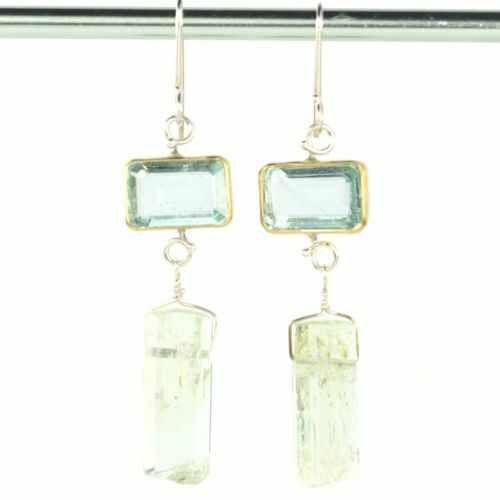 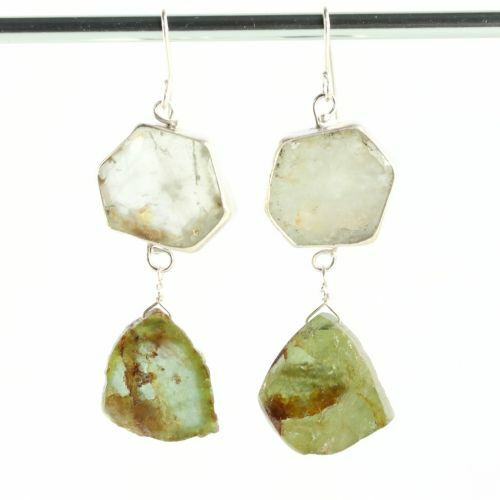 These earrings are made by hand with natural gemstones and recycled gold and silver.